After watching our pre-release screener, I shared my thoughts in this review. A week later, I shared this fun craft idea and free printable to help all of you get in the spirit. Earlier this week, I even shared a fantastic deal going on at Family Christian this weekend in celebration of the release. Excited? Yes, it's an understatement. In fact, since my original review, we have still continued to watch the DVD almost daily. We have it memorized word for word. I'm pretty sure even my 18 month old is starting to pick it up. We love the fun music, the silliness, the messages...this is truly a Veggie classic that belongs in every Veggie Tale collection. But don't just take our word for it! Today, in celebration of the release, I am beyond excited to pass the Veggie love along... one very lucky reader is going to have the chance to win a copy for themselves!! Enter using the Rafflecopter form below. 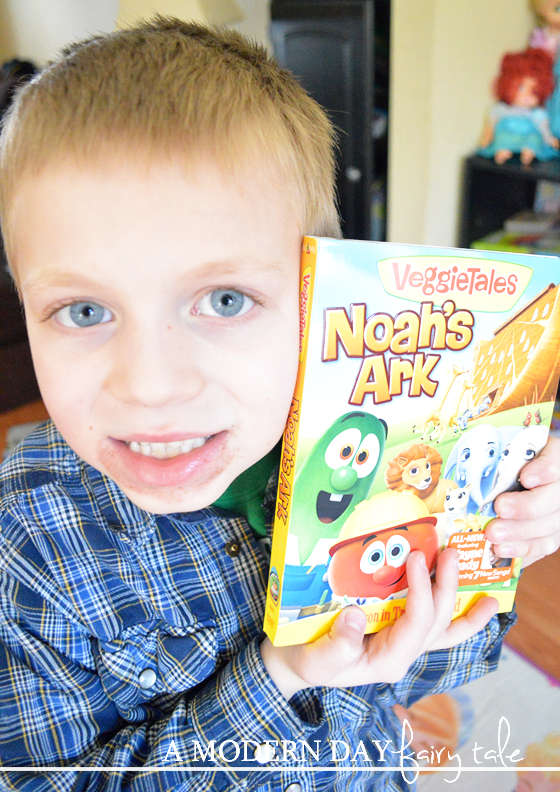 All of my kids love the Veggie Tales songs and movies. 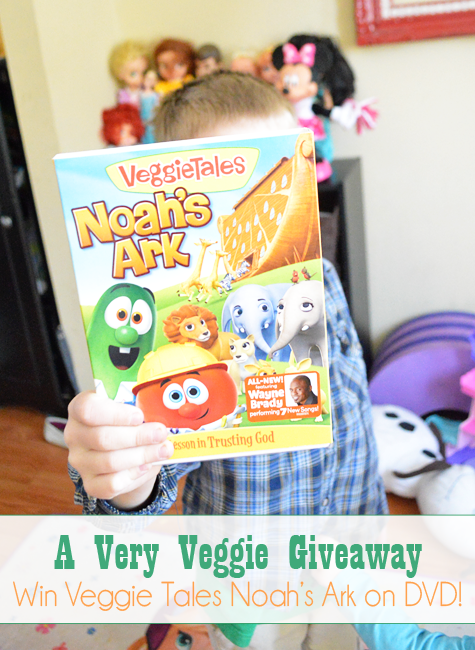 I grew up watching Veggie Tales and ow my babies will too! We all love the Veggie tales! My kids both like Veggie Tales. My son and daughter are the veggie tales fan in our house! !